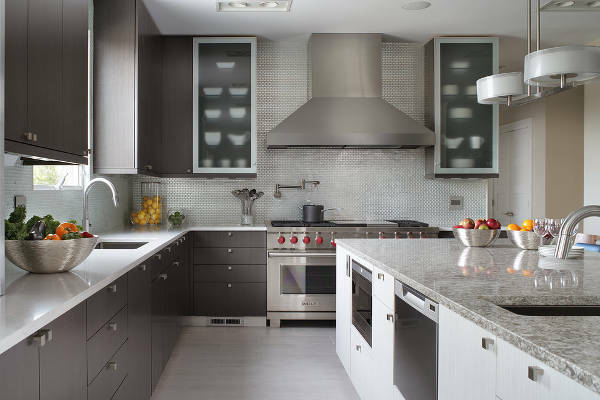 Modern kitchen cabinets are seamlessly smooth with clean straight lines. Concealed cabinets make the space look clutter free and clean. Modern designs are sleek but functional. 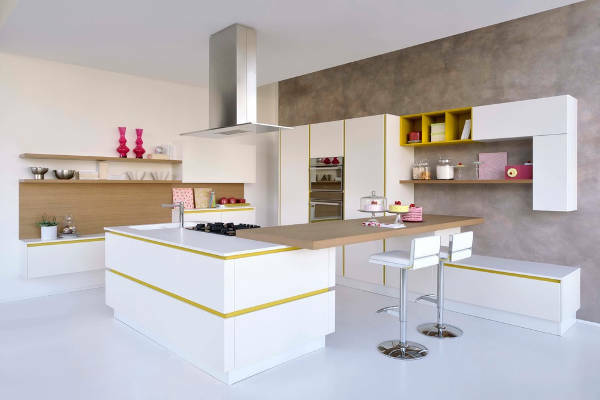 White fits the best in modern sleek kitchen designs but you can add colours and go a little retro. 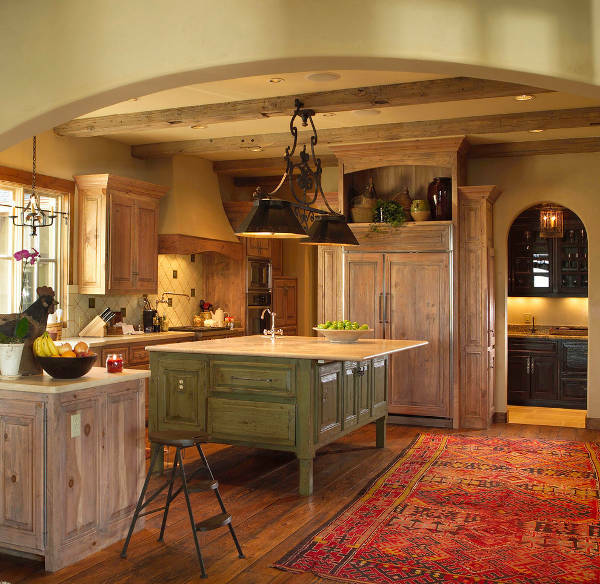 Add a rustic look to your kitchen by using dark wood cabinets with a little detailing. 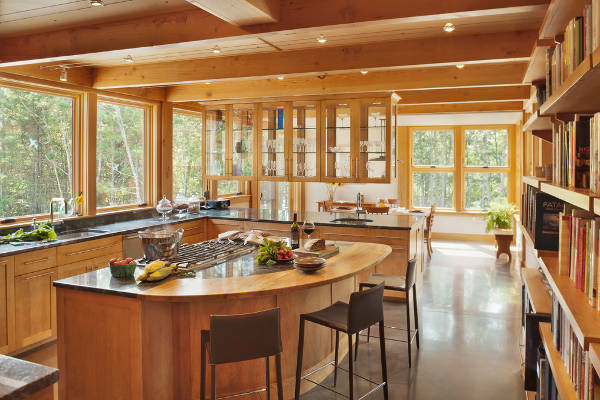 Light polish maintaining the natural grainy look adds to the rustic interiors. You can also opt for open shelves to make it look less bulky. You can use cane baskets on the shelves to enhance the look. 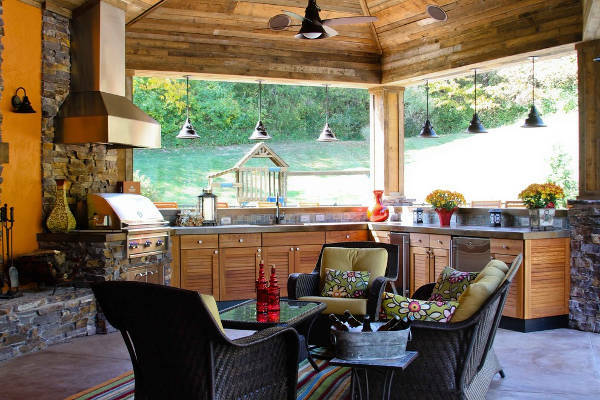 A durable and attractive option for making your outdoor kitchen cabinetry is steel. Its weather resistant gives an amazingly shiny look. For a more classic look you can chose teak but make sure of water proof finish of the cabinets. You can utilise the corners to make special W-shaped drawers to increase the storage space. You can also utilise the corner space in your kitchen wall storage unit to make a separate cabinet to place bigger jars or fix a television or Music system for your cooking time entertainment. Your kitchen needs ample storage. You can use entire wall to make your storage cabinets. 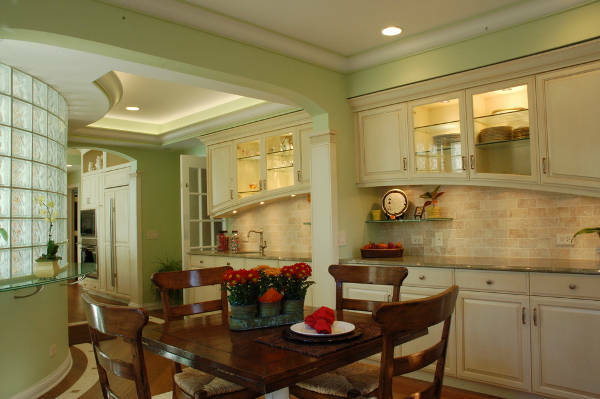 In case you do not spoil your walls then opt for a kitchen wall unit with overhead and lower cabinets. The mid portion can be utilised to make a multipurpose marbled counter top. You can also have overhead built in wall cabinets. Cabinets with flat panels made in light wood and sleek steel handles looks neat. You can also opt for frosted cabinets for a more contemporary look. One more option that can help you add a contemporary look is using attractive laminates to cover your cabinets. A two toned kitchen cabinetry cab add more style to your kitchen interiors than you can imagine. Clean straight panelled white upper cabinets and lower cabinets made of dark wood with shining steel handles look sleek and plush. 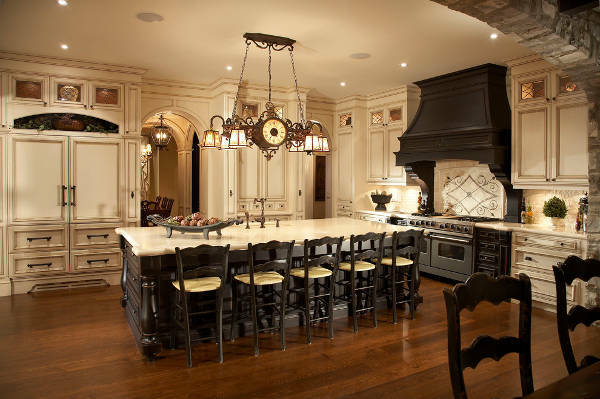 Combination of medium brown wood and dark wood carved cabinets give a Victorian feel to your kitchen. 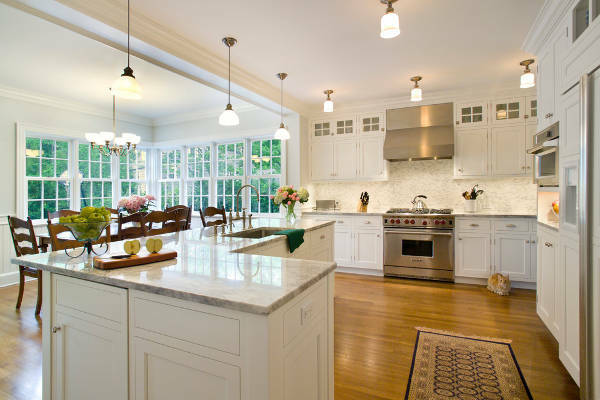 Give your kitchen an antique look with open shelves and cabinets with transparent glass doors. Slight carved detailing on cabinet doors looks good. Paint your cabinets white to bring out the look. 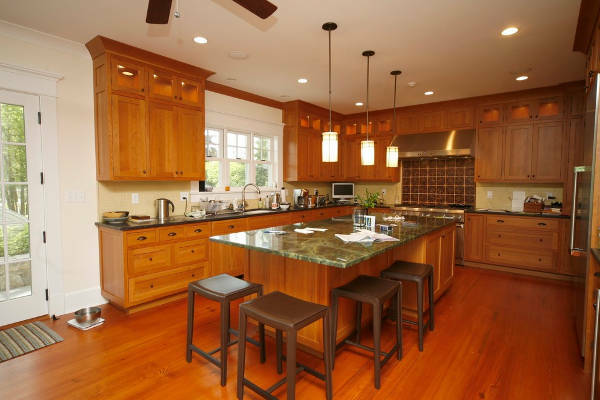 Consider a lighter shade of green for the cabinetry with a light wood counter. One side of the cabinetry can be used for a full size cabinet for keeping tins and larger jars where as other side can be used for making drawers for storing smaller articles. Your kitchen should be well lit. Besides one man source of light you can use embedded LED light on the underside of your upper cabinets to flash enough light on counter. You can also use Back lights within cabinets. A sleek and stylish option is the use of LED rope or strip. Even small kitchen can look beautiful and have a practical design at the same time. Consider open continuous shelves along your kitchen walls to keep your crockery cutlery and even cook ware. You can use hanging bars or hooks under cabinets to hang ladles and coffee mugs. You can use lower cabinets to store other jars and bottle. 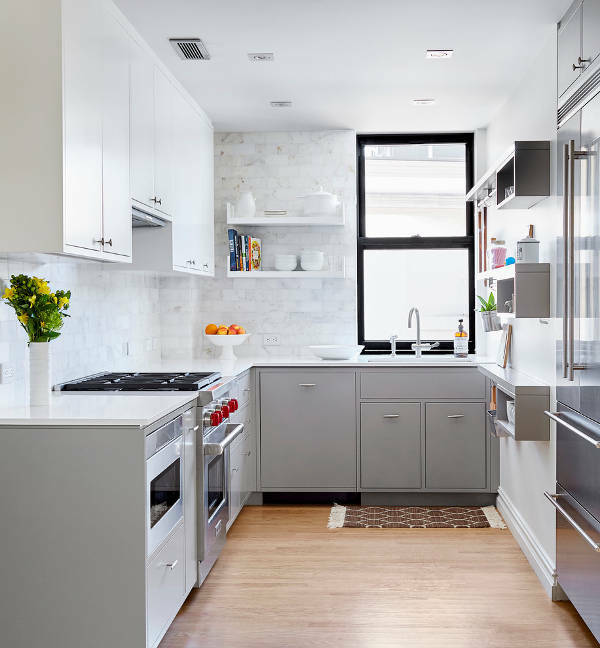 Your open kitchen demands clutter free placement of things as compared to closed cabinets but that does not mean they cannot add to the beauty of your kitchen. Use you overhead open cabinets to keep your beautiful dinner set, your amazing tea set and your cut glasses. 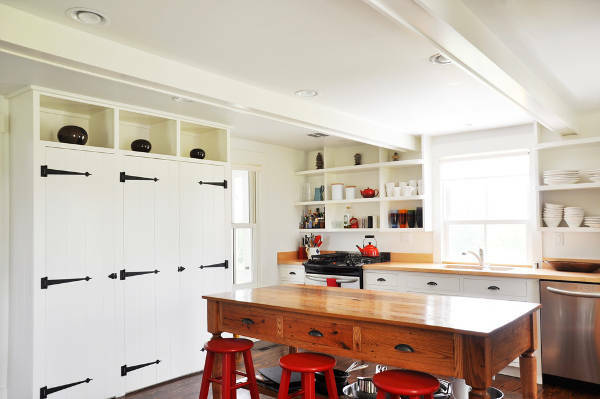 If you don’t want to bulk up your kitchen walls with cabinetry you can opt for hanging cabinets. Consider the wasted space besides your chimney to make hanging cabinets. Hanging glass cabinets can save your wall for a wonderful window with a beautiful view outside. 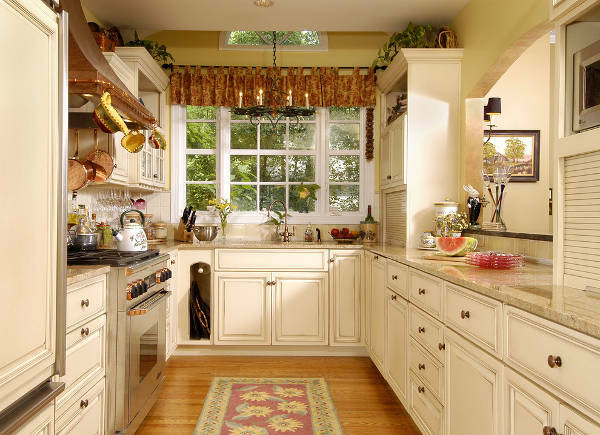 Kitchen cabinets are very important considering the number of things that are stored in kitchen. Your expensive crockery, the one which is not used every day, your cook ware, food material and many other big and small things are to be safely stored in your kitchen. 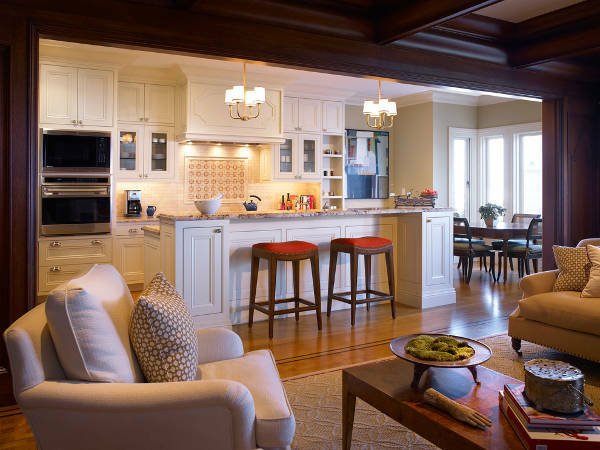 While designing your cabinetry you should take care of the look you want. 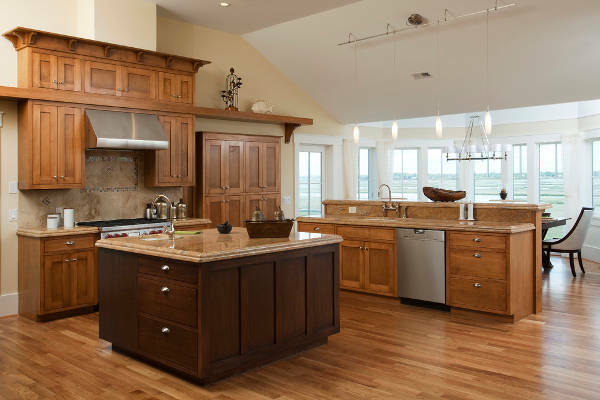 If you want to bring in old world charm to your kitchen select the right wood for your kitchen. For modern sleek look steel is the best option though you have other option to experiment with. 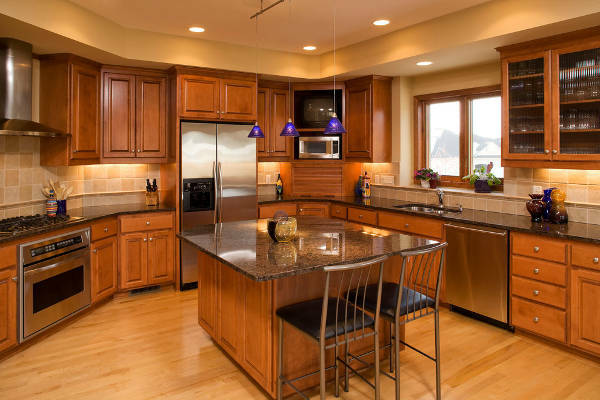 While remodelling your kitchen make sure that you plan your cabinets smartly or leave it on experts. Use water proofing for outdoor kitchen cabinets and don’t hesitate to experiment with styles. To clear your doubts refer these beautiful design ideas and get started.